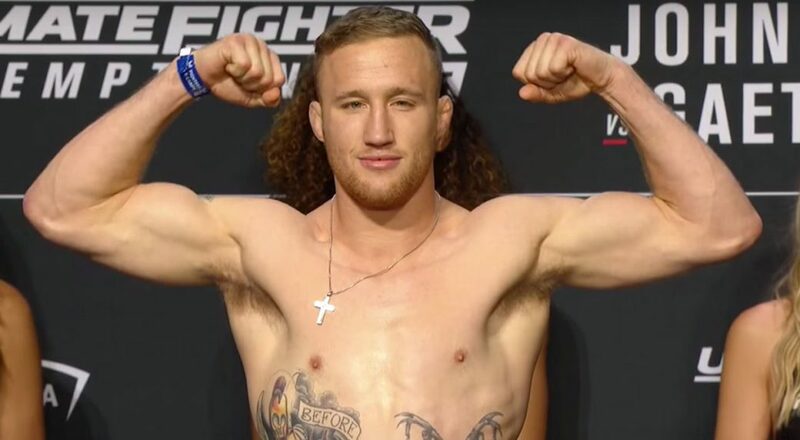 Justin Gaethje is ready for a step up in competition. He is coming off of a very impressive first-round knockout over Edson Barboza two weeks ago to extend his winning streak to two. Now, the hope is Gaethje will get a high ranked fighter or a big name in the lightweight division. Although Gaethje knows Khabib Nurmagomedov will not be next, as he understands Dustin Poirier is next for him. But, he has his eyes on Tony Ferguson and Conor McGregor. However, Ferguson seems out of the picture due to the personal problems he is currently going through which Gaethje seems to understand. Not is Ferguson a question mark but so is McGregor. He has no idea if the former champ-champ will ever fight again. But, if he does, Gaethje wants that fight. “Who f**k knows what’s happening with Conor?” he said. “But they either take him out of the rankings if he’s retired, or they keep him in the rankings and he has to fight somebody. If that’s me, cool. If that’s not me, cool, but there has to be some type of structure to what’s going on here. We can’t just keep floating around.